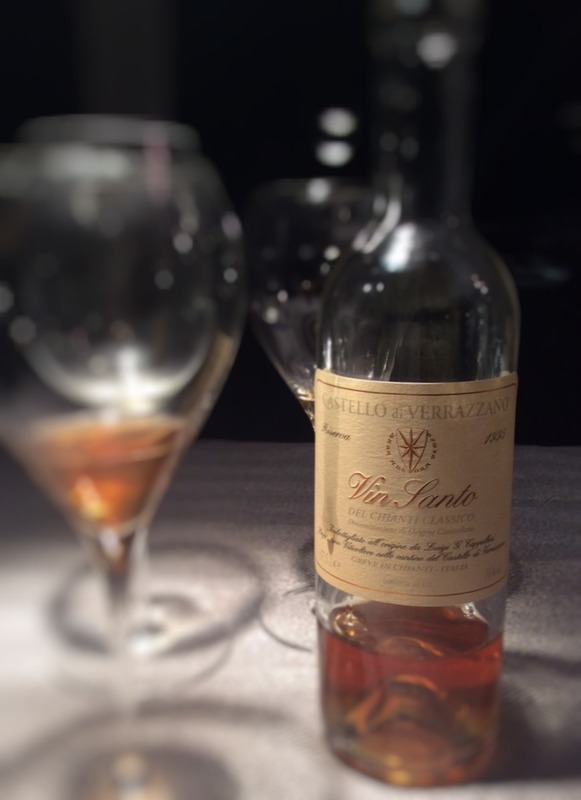 Vin Santo – holy wine? There is Vin Santo not only in Tuscany, but also in Umbria, Emilia Romagna, Veneto and Trentino. However, the first Vin Santo in Italy is said to originate from Tuscany – a wine of legendary origin. There are several different versions of the name origin. One version is, that it should have been the healing effect of the wine on plague sufferers in the Siena of the 14th century, another one, the misinterpretation of the exclamation of a Greek bishop after the tasting of the wine as ‘santo’, ie sacred, instead of ‘Xanthos‘, as of originating from the Greek island of the same name. Most likely, however, the name comes from the centuries-long use at the Mass. The Vin Santo produced today distinguishes a lot from its early predecessors. The long storage in the Vinsantaia, a room under the roof, exposed to the summer heat, has meanwhile been largely abandoned in favor of maturing at cooler constant temperatures. The chestnut barrels are very often replaced by new oak barrels, but the size of the barrels still called Caratelli is still between 50 and 300 liters. The integration of the different Vin Santo of Tuscany as DOC wine (Denominazione di Origine Controllata) with its associated specifications, such as grape varieties to be used, planting density or maximum yield have contributed to the consolidation of quality. There are four DOC for Vin Santo in Tuscany: Carmignano, Chianti Classico, Montepulciano and Chianti, with the DOC Vin Santo del Chianti Classico permitting the lowest yield. This is also reflected in the tasting of the 1995 Vin Santo del Chianti Classico Riserva of Castello di Verrazzano, of which only 4,000 0.375 l bottles per hectare were produced. The selected grapes for this wine were dried for about three months and afterwards fermented in stainless steel tanks, then aged for a further 36 months in Caratelli of 100 liters and then left for a further 24 months in the bottle before being in the trade. Middle amber colour. Slightly oxidative, citrus notes, especially orange, lovage, allspice, cardamom, some clove and star anise, dark cask notes, very fresh acidity, long, very good finish with delicate hints of gingerbread and coffee, very complex, slightly sweet, excellent wine.